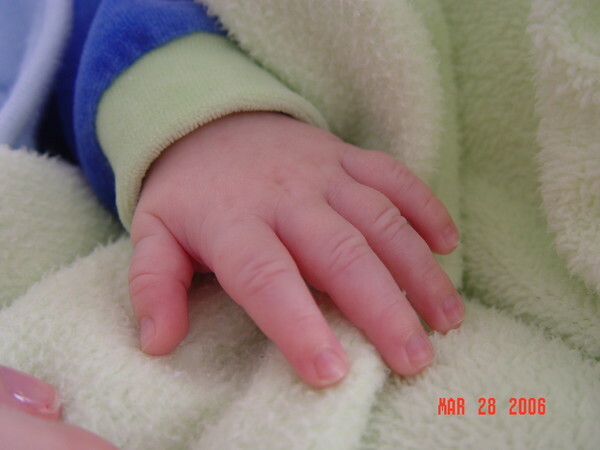 Baby Nathan's hand...he will only be this size for so long, I am enjoying it! What a cute little hand. I can't believe how fast children good. My son is now 31 and it feels like yesterday that he was small.